Despite its small size, this oldest of Utah's national parks offers the visitor beautiful natural wonders, camping, and hiking. 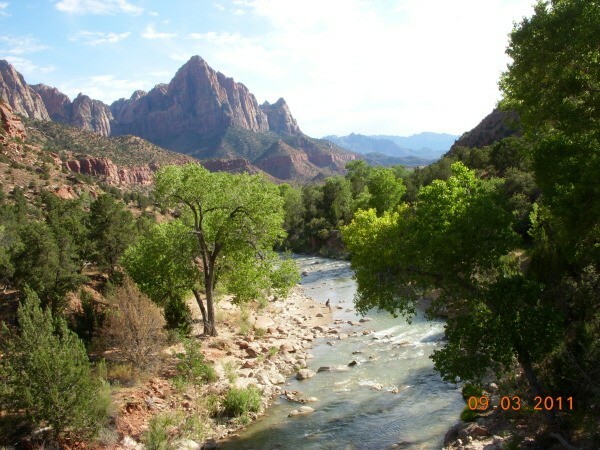 This page contains Zion National Park photos and information. 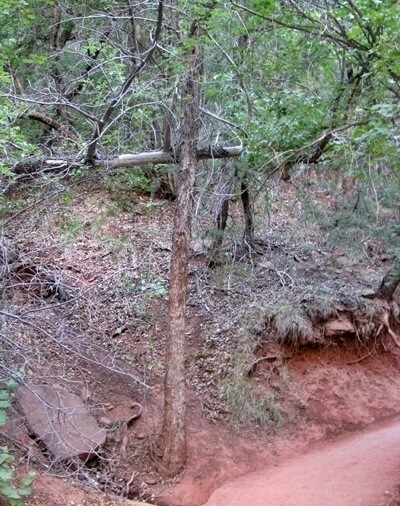 I was hiking in Zion National Park when I saw this anomaly. it is actually dead trees, one that is still upright, the other is uprooted and fallen over, but it appears to be a perfect cross! I have traveled the U.S. extensiveley over the years and it never ceases to amaze me how very beautiful our country truly is. I visited my daugther and son-in-law in Las Vegas. 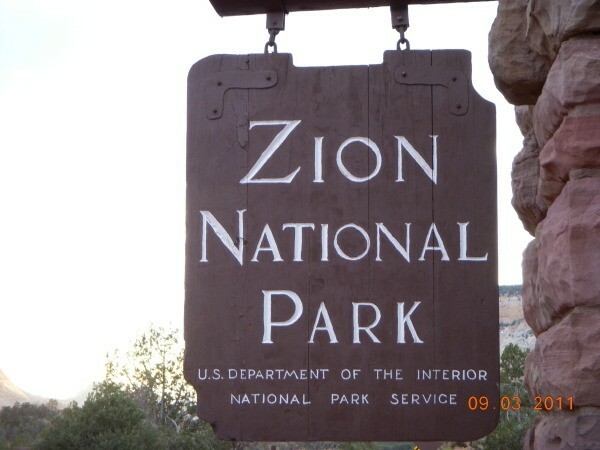 We drove the 2 hours to Zion National Park over Labor Day weekend. These pictures cannot show how beautiful and exquisite the landscape really is. Zion and Bryce Canyon (which we also visited) is the only place on earth where these formations started over millions of years ago. The wind, water and rain are still at work today. 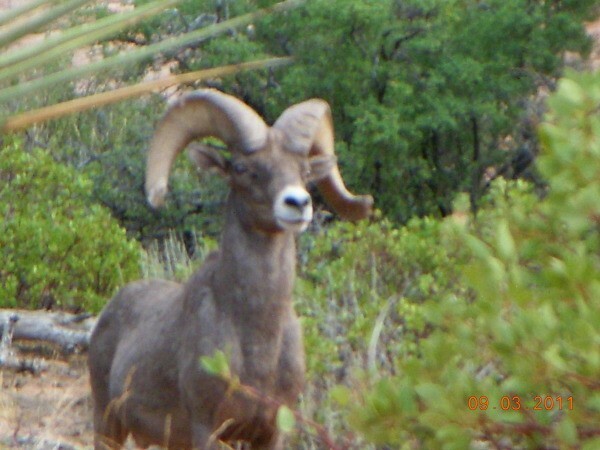 There was plenty of wildlife to be seen also. 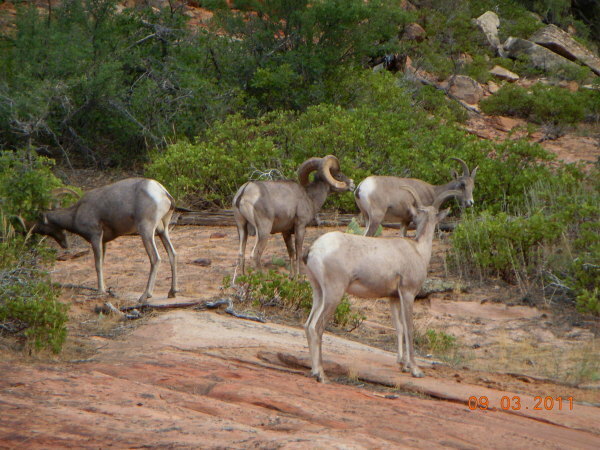 These Long Horned Sheep were posing just a few feet from the road. We saw lots of deer and also bison. My daughter and I were sure we saw an American Bald Eagle flying. It was so quick and quite high up but we both saw that white head. I was suprised to see many busloads and busloads of foreign visitors. Many languages were heard by us. English speaking was in the minority that weekend. You could hear the excitment in their foreign voices at times. I know they enjoyed the views as much as we did. 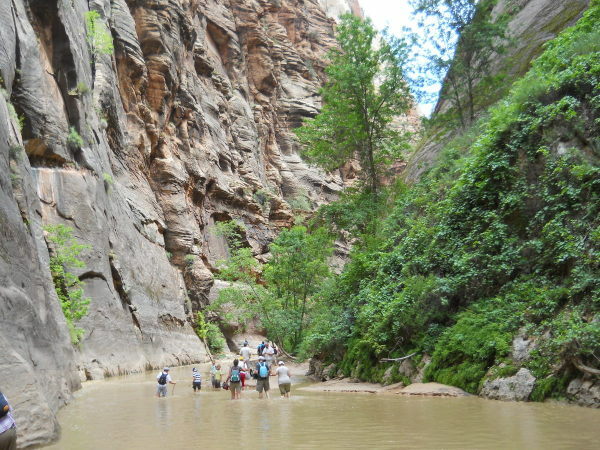 There are several other National Parks within a short distance, and the Grand Canyon is not too far either. 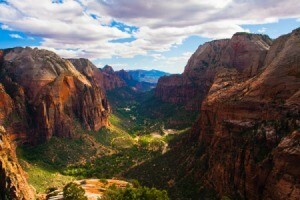 I would like to return and see the north rim of the Grand Canyon. 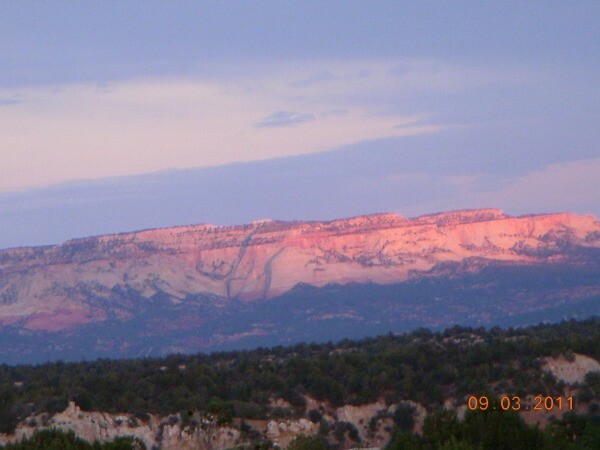 The Native Americans (that own that part) built a glass ledge out over the canyon and I have not been there. 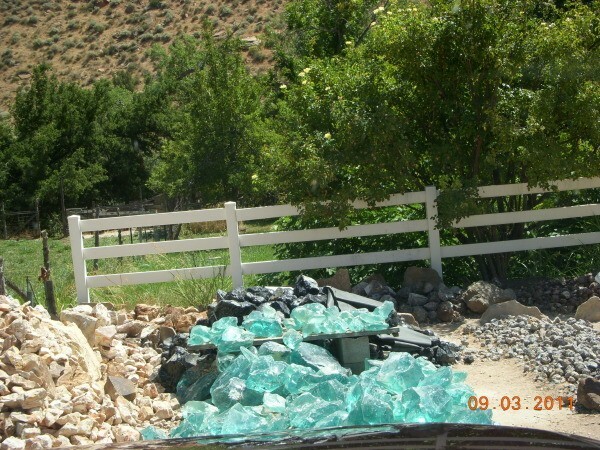 These turquoise rocks are mined outside the park. They look like glass and are sharp (got cut). They are a form of cystal and come in many colors. I of course had to buy some.